Its a first time entry for the Boyo's from the Welsh Valleys. 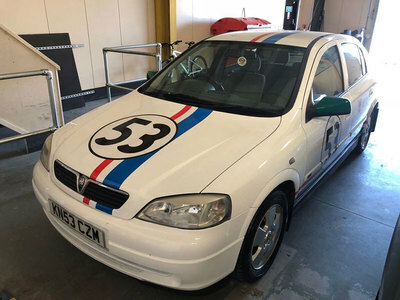 Gavin Williams and James Goodall from Enterprise Rent-a-Car will be heading off to the hills of North Wales for this years 3 day REAL Rally to raise money for both REALfriends which supports local bullied children and REALexperience which helps creates apprentice opportunities for 14-16 year olds our vehicle repair industry - in conjunction with AutoRaise. Unfortunately this little Love Bug Herbie isn't capable of driving himself, but will be a serious contender over the 3 days.